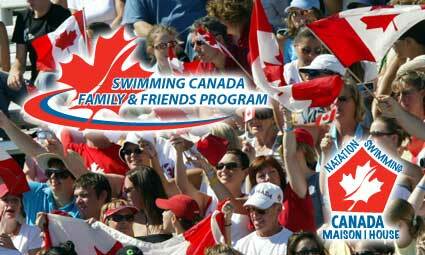 If you are going to be attending any of the National and International Swim Meets this summer look into Swimming Canada: Friends & Family Program. 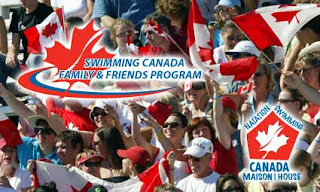 which will offer a range of services to its National and International Team parents, Canadian swimming fans, and corporate partners. As part of this program, Swimming Canada will provide assistance in obtaining tickets to specified National and International events and secure preferred rates and services for hotels and transportation through its travel partners. In addition a National Team Parent mentor program will be offered to new parents. For full details visit their website to find out how to obtain tickets, get meet information, and cheer on Canada this summer. The 2012 Summer Olympics are coming: Want to be there in person? Visit Visa - The only card accepted at the London 2012 Games.The world’s greatest sporting events are coming to London! Tickets for the London 2012 Olympic Games and Paralympic Games will go on sale in 2011. You can make a start by registering your interest through the London 2012 Olympics Official Page. Go World.